This is it! 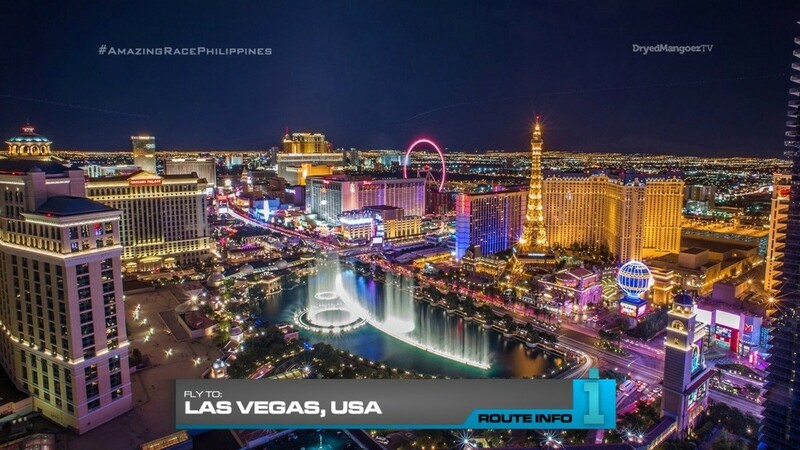 The penultimate Leg of the The Amazing Race Philippines DryedMangoez Edition Season 9 begins as teams learn they will be flying to the United States and Las Vegas, Nevada! Teams will fly on Aeromexico arriving at 2:11pm. 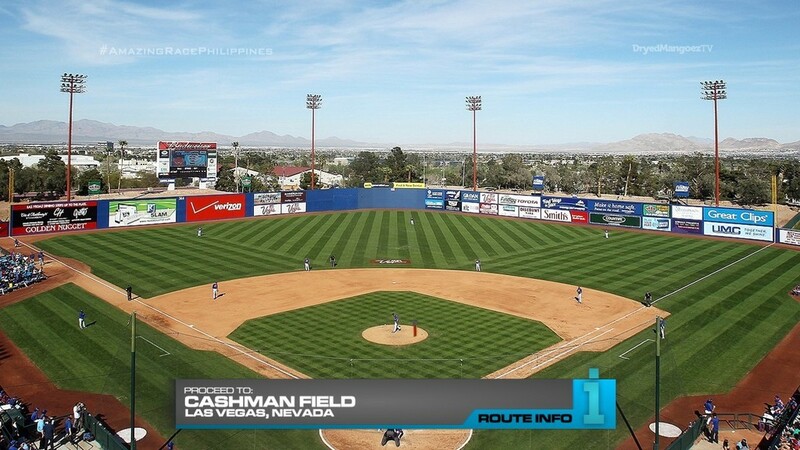 Once in Las Vegas, they must take a taxi to Cashman Field. Here, teams can find the cluebox on the pitcher’s mound. And that cluebox immediately reveals the Detour: Stack ’em High or Drive It Fast. 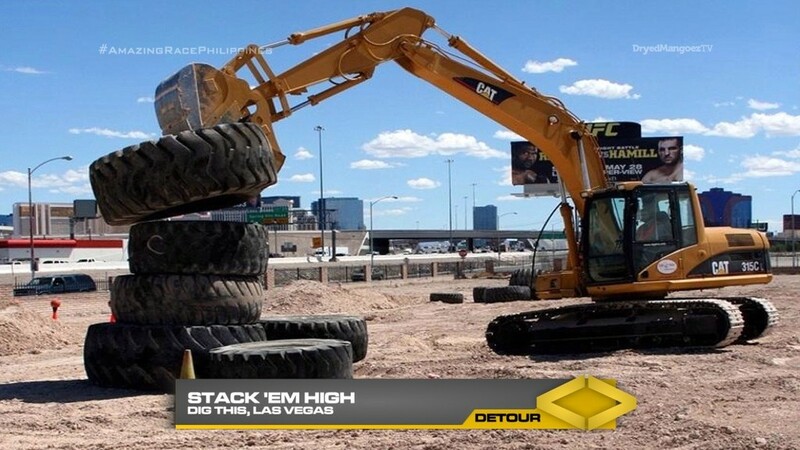 In Stack ’em High, teams must make their way to Dig This and use a Caterpillar hydraulic excavator to unearth eight large truck tires. They must then stack the tires to receive their next clue. Each team member must do four tires. 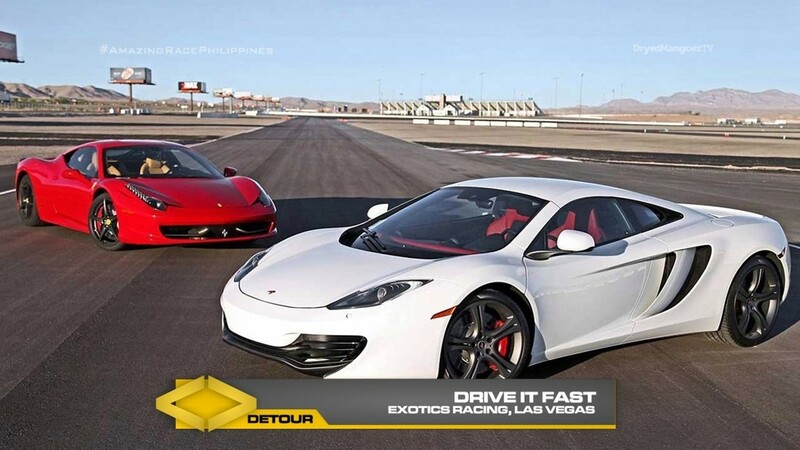 In Drive It Fast, teams will head to Exotics Racing and each team member must do five laps within a set amount of time to receive their next clue. 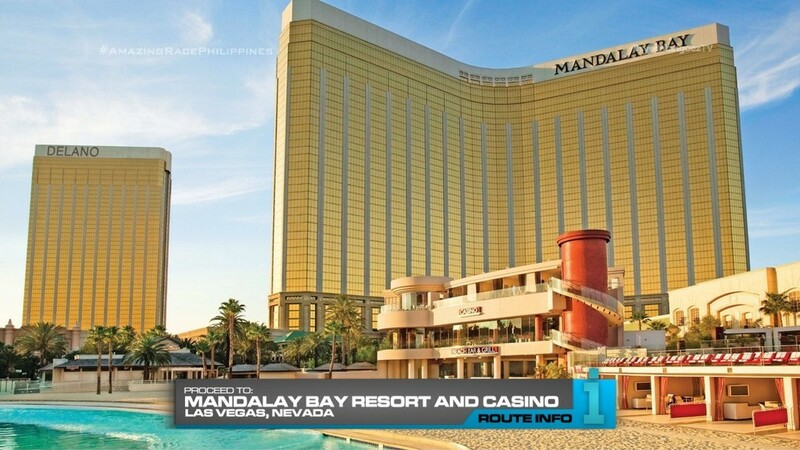 That clue directs teams to Mandalay Bay Resort and Casino where they will find the Road Block: Who wants a good view of the strip? For this Road Block, teams must rappel face-down down the exterior of the Mandalay Bay hotel tower. Once they reach the bottom, they will be given the next clue. Teams must now run inside the resort to find the Mandalay Bay Shark Reef. 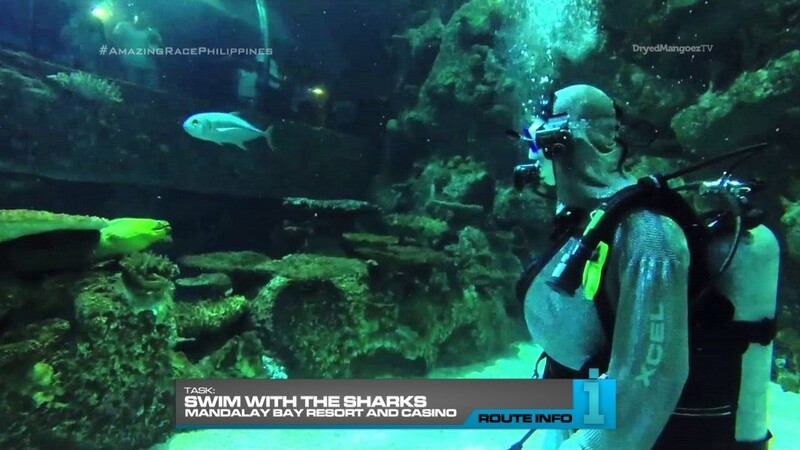 Here, teams must swim with the sharks to search the tank for their next clue. 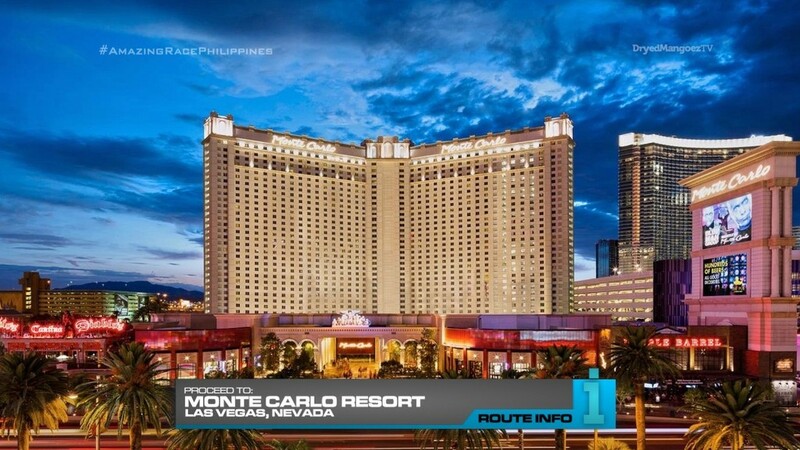 That clue tells teams to make their way to Monte Carlo Resort and Casino. An incredible amount of money changes hands here in Las Vegas every day. And now teams will get their own hands on that money for this final task of the Leg. Teams will be given a pouch full of currency from the different countries they have visited this season. They will need to identify and count the currency and use provided exchange rates to convert them to US Dollars. They must then collect the correct number of equivalent chips on a nearby poker table and hand them to the dealer to receive their next clue. 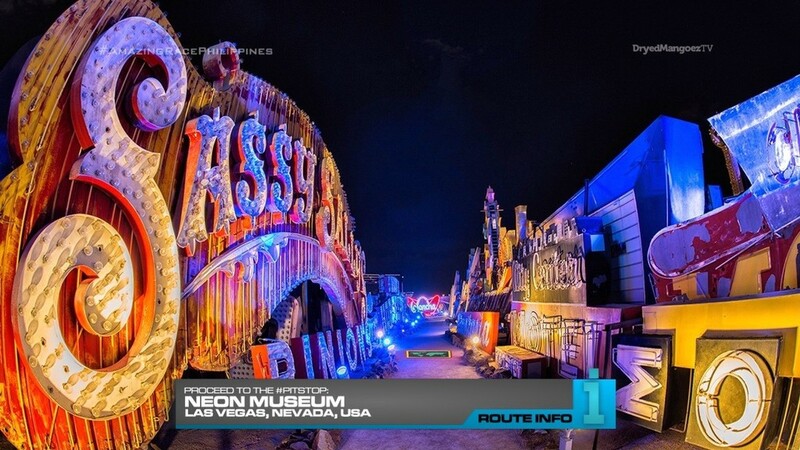 And that final clue points teams to the Neon Museum, the Pit Stop for this Leg of the Race. So Las Vegas is a good penultimate Leg location. A good connecting point between Mexico and the Philippines and just enough possible tasks for a penultimate Leg. But first, we start with a visit to a nice little ballpark. I didn’t want to focus the entire Leg on the strip. So this is a good first Route Marker and it’s of equal distance to either Detour. The Detours are just fun things to do, maybe very touristy, but they’re simple tasks that fill up this Leg. The rappelling from TAR15 fills the extreme thrill quota for the season. And a good task since we can’t have something like that on the finale. The shark swim is just an extra task to fill out the Leg. But the highlight of this Leg should definitely be this final task. This is where Brian & Ericka lost TAR15. But here, there’s a twist. It’s more of a mental task since teams will need to count, convert and collect. There was a similar currency conversion task in a previous TARPHDM season. But here, it is a nice penultimate Leg memory task. Finally, since this Leg will likely end after dark, the Neon Museum will be the perfect Pit Stop. Also, any location that might overlook the strip would be a nice spot as well. Overall, a solid penultimate Leg in a fun city.